« The News is the Bomb! A Planned day of prayer and fasting for Ken Silva… yep I’m serious agian! As most of you know, last year I called for a day of prayer and fasting for Ken Silva. That should give you the background as to why and what is needed to be prayed about. It is my hope that we bless Ken Silva and call him to true integrity and honesty. I pray also that he and his church grow in the Grace and knowledge of Christ Jesus. The idea is that whether one is for him or sees that what he is doing is harming the Body of Christ, that we all pray a prayer of blessing. The reasoning is that Jesus taught us to do so. Please join me. God can make a difference. Let me share something with you, Iggy. If I am going to pray and fast for a day, (my diabetes makes that dangerous) I will do it for my children or grandchildren or the Chinese church or a thousand other issues that have nothing to do with Ken Silva. Even if I did feel led to pray and fast for someone they would not know it, therefore I could guard myself against a compromised motive. As you know I am also diabetic and I plan a partial fast. If I need juice I will drink it. As far as motive. I think to pray for blessings on anyone is pure. All I am asking is God bless Ken and Ingrid and so that they grow in Grace and the knowledge of Christ Jesus. In this I pray for myself these things also. That if I am also wrong, God show me. And no one need know if you join me. I hope that your day of prayer and partial fasting begins with a level of repentance for all the hate that you have perpetrated towards these two throughout the year. Remember, Jesus tells us that it is urgently important that before we offer a sacrifice, and we remember that we have an issue with a brother that we need to resolve that issue. Remember as you cast your accusations at me that it does go both ways. I have never stated I am not in the wrong at times or have never been wrong. If I have overstepped in way of the things you accuse me of, I have always tried to contact Ken or Ingrid or others to apologize. Which BTW I have never had done to me from either of them for the unkind and slanderous things stated about me. I have yet to even receive an apology from you! Now, again, that plank is getting in the way from your seeing your own way clearly. Instead of the micro focus on me, look at your own heart first. Also, I hope you fixed the plagiarism and false accusations on your site that you stated about me. 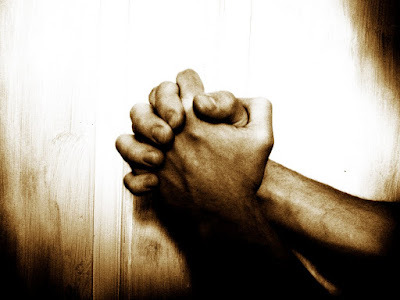 I do hope join in this day of prayer and fasting for Ken and Ingrid. I am sincere in my hope God blesses them in their faith and open them to God’s truth, grace, mercy and love that are all found in the Person of Jesus Christ. For the record here is what you have done yet accuse me of doing likewise. And yet though you still have odds with me, I forgive you for your lies and false accusations against me.